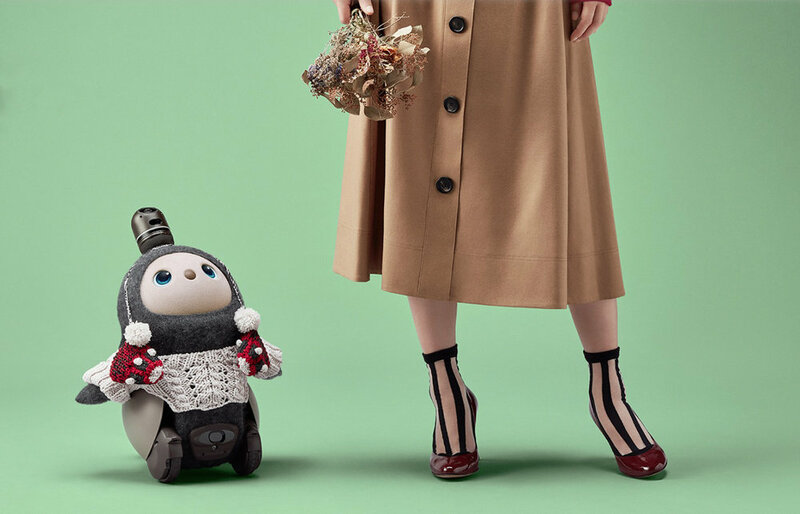 Robots, digital avatars and mirrors, immersive headsets, 3D scanning and printing ..., all the images of Le Bon Marché Rive Gauche exhibition are here. Next : the beauty tech recap. Textile dye in bacteria, connected tattoos, 3D printing in mushroom mycelium, patterns generated by algorithm ..., the Parisian exhibition "La Fabrique du Vivant" explores the interactions between art and science. Traffic #4 : what's new? To know more about the 4th edition of Traffic, the parisian trade show for fashion services, it's here! AI applied to fashion, virtual fitting rooms, personnalized boxes, online stylists, customization in one click ..., want to know more? 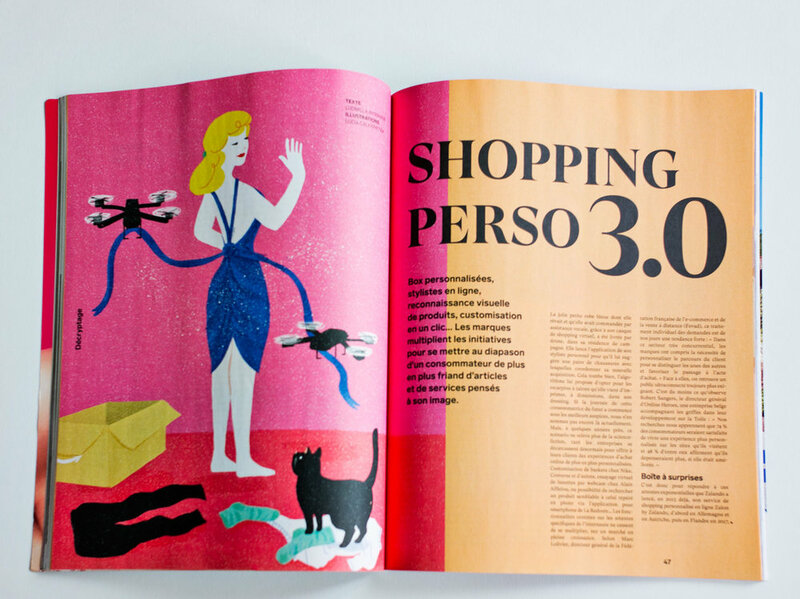 Go check my paper for the Belgian magazine Weekend! 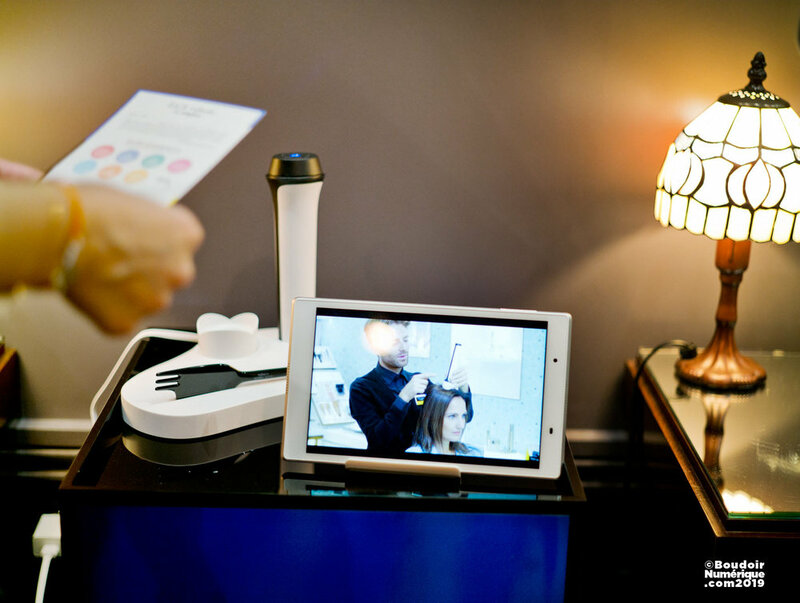 Hair Rituel Analyzer, new connected device presented by Hair Rituel by Sisley, on January 30, 2019, at Salon Séguier, in Paris. 3 questions to Marine Gimbert, Head of International Marketing at Hair Rituel by Sisley, about the new hair diagnosis connected device, Hair Rituel Analyzer. Wearable Lab 3 : What’s new ? What happened on the third edition of the fashion tech space at Première Vision Paris? The answer in pictures here. Star Trek: Discovery is back this Thursday, with its season 2, on CBS, then Netflix. 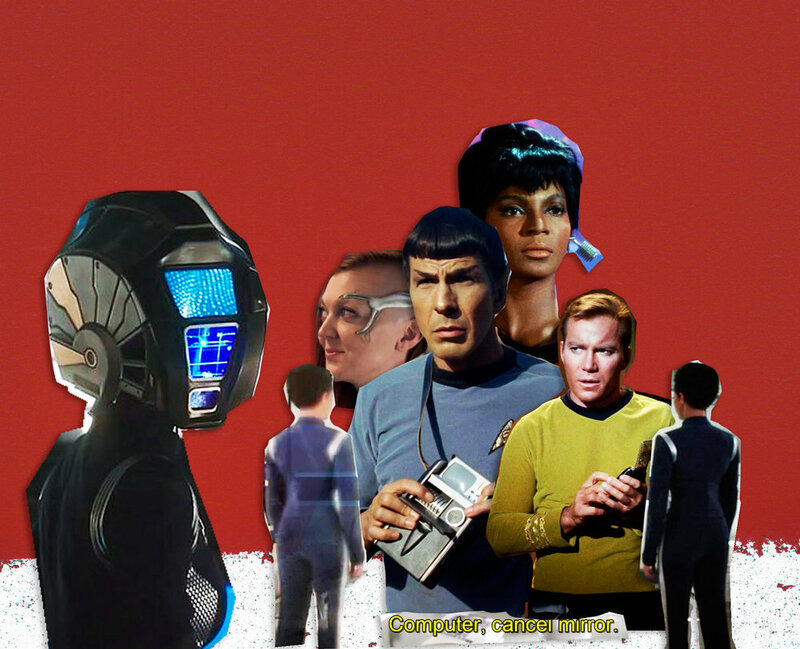 Augmented creatures, tattoos 3.0, synthesized clothing ... season 1 was full of tech finds, in line with the original sixties serie. Let’s have a look. At Christmas, everything must shine and sparkle! Not only trees and tinsel garlands. Celebrities’ dresses too. 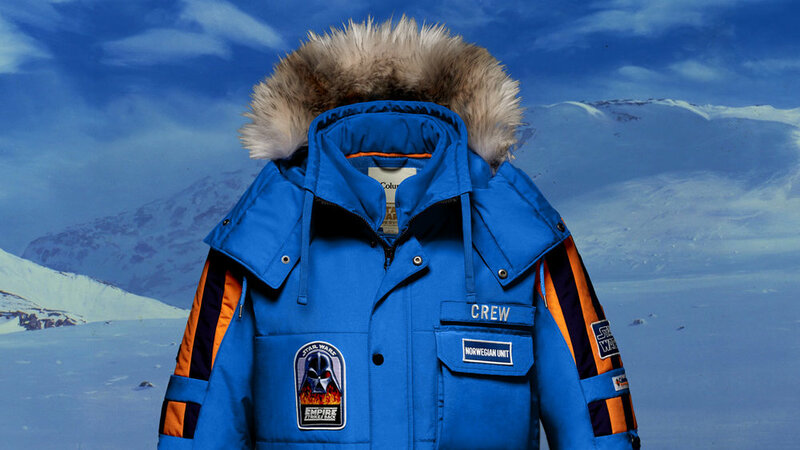 Want to know more about the state of fashion, in terms of environmental and social impact ? Here are some suggestions from Le Boudoir Numérique to catch up with that matter. By proudly displaying on Instagram her new Balenciaga 3D coat, rapper Cardi B joined singer Lady Gaga and dancer Dita Von Teese in their shared enthusiasm for fashion tech. 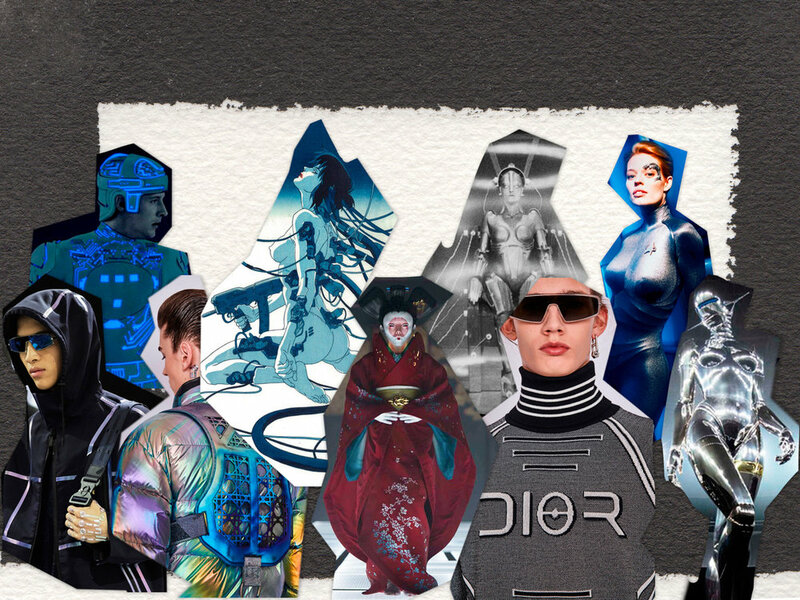 Following the Dior Men’s pre-fall show, in the shadow of a giant goddess robot, last Friday, in Tokyo, Le Boudoir Numérique takes a look at its science-fiction influences and remembers, in pictures, the most unforgettable female humanoid robots in movies and series. Following the performance of french singer Chris, in a jacket releasing swirls of smoke, on the scene of Cannes NRJ Music Awards last Saturday, Le Boudoir Numérique cannot resist to come back to the concept of electronic couture designer Anouk Wipprecht’s Smoke dress, in 2012. "Startups are at the heart of the ReMode event"
A few hours before the opening of ReMode, showcasing two days of meetings, this Tuesday, in Los Angeles, its founder Pierre-Nicolas Hurstel tells more to Le Boudoir Numérique on this event dedicated "to the modernization of the industry of the fashion, through technology". Following the appearance of singer Hailee Steinfeld, in a dress painted live by aerosol sprays, this weekend, at the MTV EMA, Le Boudoir Numérique wishes to pay tribute to a moment of fashion tech grace it was obviously inspired from : the finale of Alexander McQueen's No. 13 fashion show, in 1998. 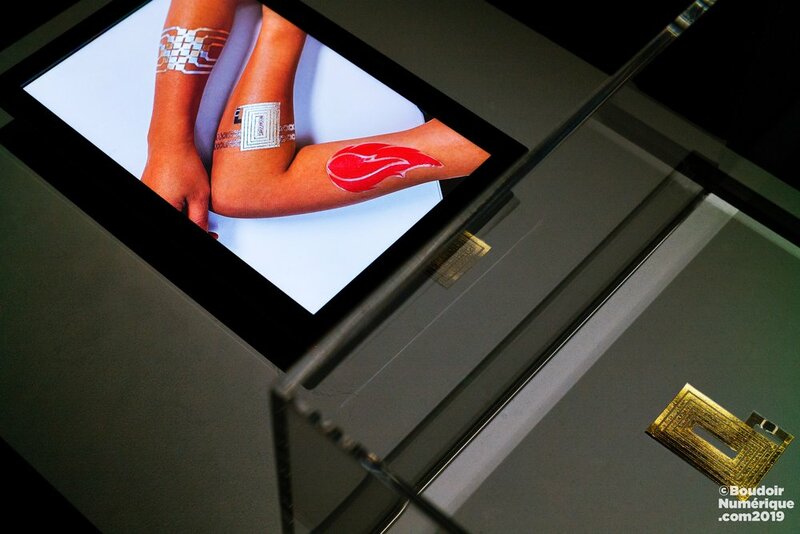 Fashion Tech Week Paris exhibition : What’s new ? 27 exhibitors, a workshop focused on data, a public’s award and a lot of innovative fashion... all the pictures and news about the Fashion Tech Week exhibition 2018 in Paris are here.